Ivor says that the foundation of New Zealands superyacht success was built on a number of planets aligning simultaneously in the late 1980s and early 1990s. As an island nation in an isolated corner of the south west Pacific, New Zealand had a strong connection with the sea, both from a commercial and recreational standpoint. In the mid-1980s, the first New Zealand superyacht yard was established by Neville Crichton, an extremely competitive, hard-driving sailor, who had cut his teeth in the cauldron of IOR racing. Having made his fortune in the motor industry, he assembled a small team, leased space at an existing boatyard and built a 28m sloop, Chanel. That project led to the establishment of Alloy Yachts. Although Crichton relinquished his ownership of the yard quite early on, he became a frequent client, building a succession of six Dubois-design sloops and a Dubois motor yacht. Yards like Yachting Developments, which specialises in composite construction, Fitzroy Yachts, McMullen & Wing and others created their own portfolios, and a slew of support industries  sailmakers, spar makers, electronics companies, design studios  flourished. For a nation of just over 4 million people, this rise to prominence in a very exacting world market has much to do with culture. New Zealands relative isolation has led to a practical, can-do approach which tackles problems head on and tends to embrace innovation. Also, a strong connection with the sea has seen the marine industry populated by people who understand boats. Boatbuilding is not just a job. It is a passion. 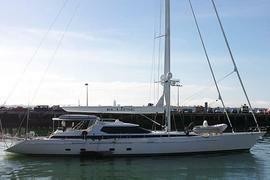 Here we present six yachts built by New Zealands premier yards and currently for sale. Red Dragon is a 51.7m sloop built by Alloy Yachts in 2008 to a design by Dubois with an ultra-luxury and contemporary interior by Wilmotte & Associates. 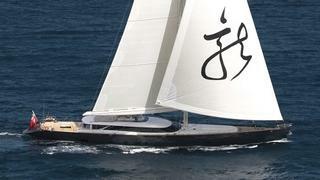 This epic yacht is as sturdy as it is beautiful, with the ability for fast passages and long periods of autonomy. 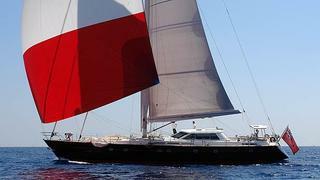 Red Dragon was a finalist in the 2008 Boat International World Superyacht Awards. 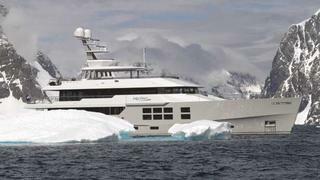 When McMullen & Wings 45m expedition yacht Big Fish burst onto the scene in 2010, the superyacht industry was rocked in its moorings. Here was a boat that could cruise the worlds most glamorous destinations and hold its own alongside the most desirable yachts in the marina. But more than that, Big Fish was a boat packed with innovations and cutting-edge technology equipping it to pursue a more adventurous course, to take a new breed of thrill-seeker to any destination on earth, all in total luxury. Fast forward 24 months and this vision of luxury expedition yachting has been enthusiastically endorsed by a virtual clean sweep of the superyacht worlds major awards, and a string of successful charters stretching from the sun-kissed waters of the Caribbean and the south Pacific, to white-knuckle, once-in-a-lifetime adventures in both the Arctic and Antarctic seas. 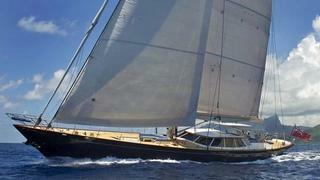 The 41m sloop Inmocean, built by Fitzroy Yachts in 2008, is a classic style yacht. Her pretty, easy flowing sheer line with long classic ends promotes a gentle motion at sea and keeps the decks dry. Her interior, designed by Adam Lay Studio, has the owner and guest accommodation forward in three cabins while the crew is aft in three cabins. Designed for long ocean passages and off-the-beaten-track cruising, she turns heads wherever she goes. Inmocean is striking, timeless and a joy to sail. 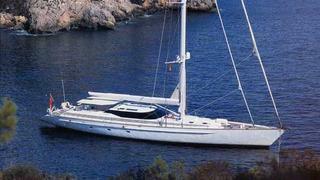 Aime Sea (Ex Corinthian) was the fourth Dubois design built by Alloy Yachts when she was launched in 1994. She combines good sailing performance with a versatile layout and has a wonderful, light and airy maple interior by Redman Whiteley Dixon. Aime Sea has recently benefited from an extensive refit and is in first-class condition with all her systems maintained to the highest standards. She is MCA compliant and is commercially registered in the Cayman Islands. Her broker, Simon Goldsworthy at Camper & Nicholsons International comments: Benefiting from an undoubted pedigree, her carbon rig means Aime Sea sails superbly. Having been neglected under her previous ownership the yacht has benefited from substantial investment by the current owner since the purchase in 2008, and Aime Sea has been returned to superb mechanical and technical condition throughout. Eclipse, launched as Esprit in 1991, was the first Dubois design to be built by Alloy Yachts and she began a long and highly successful association. All technical areas have been either upgraded or refitted. A large volume yacht, Eclipse is in turnkey condition and ready for worldwide cruising. Built by Fitzroy Yachts in 2004, Neptune is designed for extended ocean cruising and is fabricated in Alustar aluminium as a custom yacht tailor-made to the owners specific requirements. The spacious accommodation includes a three-cabin layout aft, the owner and all guests cabins having private en suite heads. The two forward crew cabins also have separate heads. The generous main saloon provides a dining area to starboard and comfortable lounge. The deckhouse incorporates an additional dining area, chart table and inside steering position. Fully retractable side windows provide a pleasant open aspect and enhance the panoramic views afforded from the deckhouse. Interior joinery is American walnut to complement the red leather upholstery and other quality textiles used throughout. Two Charles Eames designed loungers placed in the lower saloon complete a very luxurious fit out.